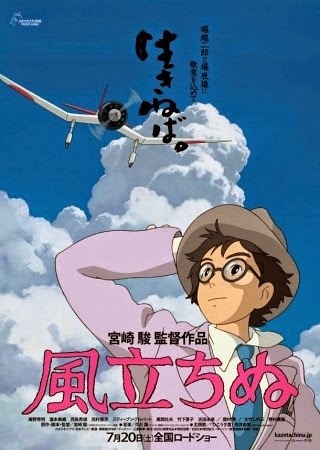 On the surface, The Wind Rises is a biopic about Jiro Horikoshi, the aviation engineer who designed the Mitsubishi Zero. That Hayao Miyazaki broached the subject at all earned him criticism in some quarters for not being sufficiently contrite about Japan's role in WWII. There are people who are simply opposed (selectively, of course) to depicting war in anything but Manichaean terms. To be sure, Clint Eastwood's Letters from Iwo Jima was too morally relativistic for my tastes, but this is not a narrative trap that Miyazaki stumbles into. 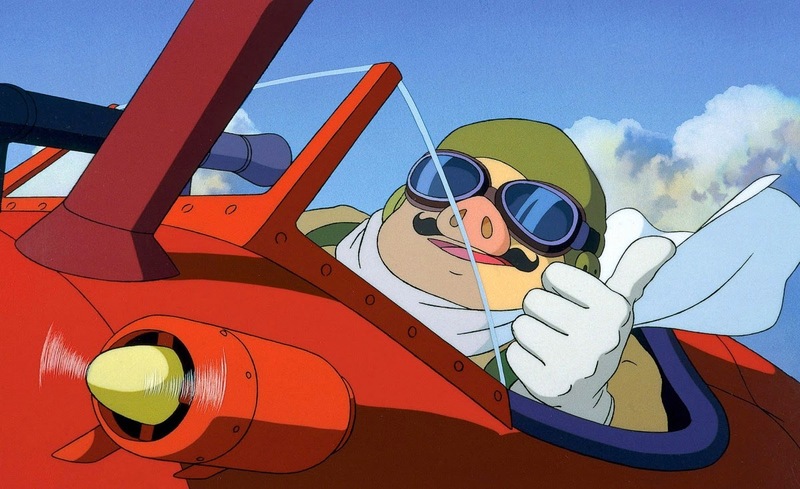 To start with, The Wind Rises isn't about the Zero at all, but instead follows the development of the Mitsubishi A5M. First flown in 1935, it shared its unique inverted gull wing design with the Junkers Ju-87 Stuka and later the Vought F4U Corsair. And it's not really about that either. The Wind Rises is about war primarily because of the time period. 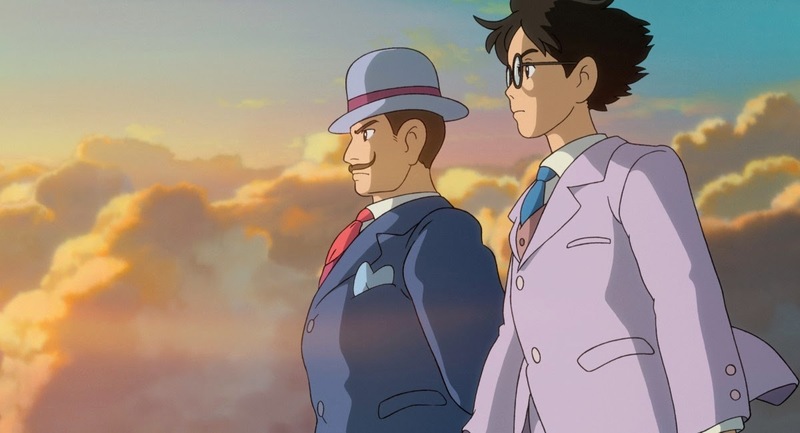 The movie mostly takes place during the 1920s and 1930s and reflects Miyazaki's ambivalence on the subject. The most indelible images are of the destruction visited upon Japan, and he isn't subtle about who is in the wrong. Vacationing at a resort in Karuizawa, Horikoshi is drawn into a puzzling conversation with a mysterious German visitor by the name of Castorp (a character in The Magic Mountain by Thomas Mann). Castorp: It is a nice night. Here ist der Zauberberg. Horikoshi: Do you think Germany will go to war again? Miyazaki's Castorp was perhaps inspired by Richard Sorge, a German journalist who worked in Japan as a double agent for the Soviet Union. One of the greatest spies of all time, he was also the greatest Cassandra, seeing his reports on Operation Barbarossa and Pearl Harbor ignored. Castorp tells Horikoshi that the German aviation pioneer Hugo Junkers has run afoul of the Nazi government: "He bites the hands that feeds him. And he will lose. The Nazis are a gang of hoodlums." This comparison to Horikoshi's "see no evil" approach to his work is made explicit in the parallel story of Horikoshi's romance with his wife Nahoko. The relationship blossoms as Horikoshi's airplane prototypes break apart and plummet to the ground one after the other. Then at the moment of his technical triumph, she succumbs to tuberculosis. His success is rewarded with her death--the ultimate price of his obsession--as was Japan's in a few short years. At its core, The Wind Rises is about moral compromise and the creative process (see, for example, the depiction of Werner Heisenberg in Copenhagen), told as a traditional "Showa drama." "Showa" (the era name of Emperor Hirohito) here refers to period melodramas that take place during the first half of the 20th century. As in The Wind Rises, Showa dramas are often bracketed by Great Tokyo Earthquake in 1923 and the firebombing of Tokyo in March of 1945. So Miyazaki concludes his swan song following a familiar theatrical formula that brings us back to the beginning of his oeuvre. 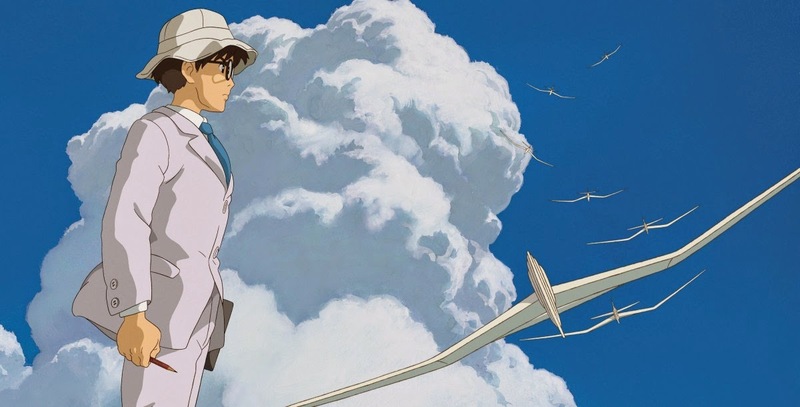 The Wind Rises should be viewed in the context of his two great flying films: Nausicaä of the Valley of the Wind, the post-apocalyptic epic that founded Ghibli Studios, and Porco Rosso, his tribute to the "Lost Generation" of post-WWI aviators. 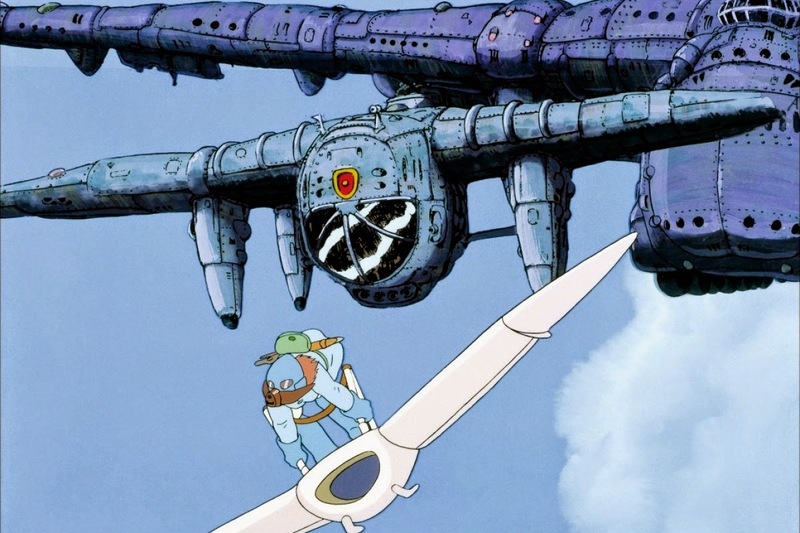 The aircraft that fill Horikoshi's dreams resemble Nausicaä's jet-powered glider, while bombers lumber through the sky (as they do in Nausicaä's world) and crash and burn. To fly is to live, but when flight is brought to the fight, the inevitably result is death and destruction. Like Nausicaä, the protagonist of Porco Rosso only barely survived the aerial gauntlet and has paid the price. He is a Hemingwayesque fighter ace whose PTSD turned him--literally--into a pig (hence the title). One day on patrol, he observes a band of silver far above him. Soaring skywards, he discovers an aviation graveyard in the sky, his friends and foes piloting their ghost planes in a great eternal round. They tell him that now is not his time to join them and he must return to the world below. The Wind Rises concludes with the same visual metaphor, as a squadron of Zero fighters flies up to join that great sepulcher in the sky (and perhaps here, having announced his retirement, Miyazaki bids farewell to his body of work). But this is not Horikoshi's time either. Accompanied by his spirit guide, the Italian aircraft designer Giovanni Caproni (playing the same role as Piccolo in Porco Rosso), he departs the aeronautical graveyard for a burning Tokyo that will, in time, rise once again. The title of the movie comes from "The Graveyard By The Sea" by Paul Valéry: "Le vent se lève! . . . Il faut tenter de vivre! "The wind rises! . . . We must live!" Because in 1945, that was the only thing left for the people of Japan to do. Not "perhaps" but Hans Castorp "is" Richard Sorge, first of all for his face in the cartoon that you can see similar in photo of Sorge in internet, second because his name is that of the protagonist of "Magic Mountain" of Thomas Mann, text used by the spy communist network for hidden message in the book. I don't know why Miyazaki had not used original name of Richard Sorge. Compliments for the accurate translation of original dialogues. Perhaps there were problems of privacy to use original name of Sorge.